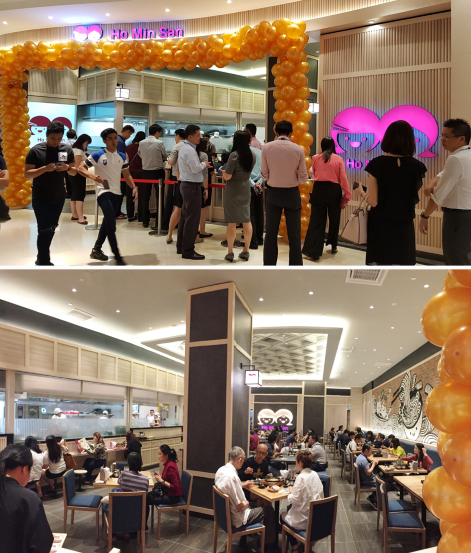 Taking pride on the contemporary food culture in the Chinese cuisine, Ho Min San is finally here at Pavilion KL to dish out authentic noodles made with ingredients that are specially flown in from China, mouth-watering Yunnan and Sichuan dishes, all at an affordable price range of RM6-RM32. You can also get a taste of special items that are exclusively available at Ho Min San Pavilion KL outlet. Read more below. A new addition in Pavilion KL – Ho Min San, Gourmet Emporium, Level 1 takes on a bright and modern and younger outlook with adorable Instagrammable graffiti art on the wall to update your social platforms while you tuck into their delicious dishes! 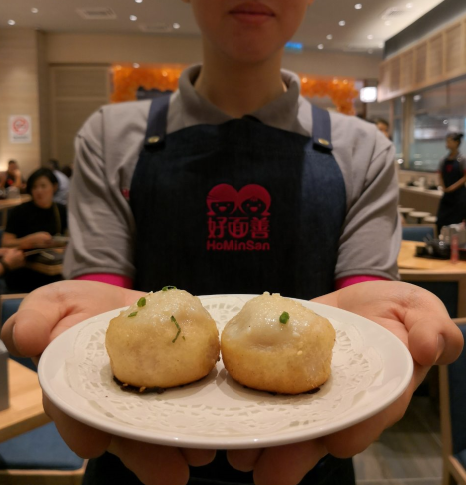 Ho Min San’s signature dish – the Shanghainese Pork Pan-Fried Dumplings are highly sought-after; imagine sinking your teeth into the tender skin of the dumpling to experience a pleasant burst of flavourful soup, plus a combination of crispy texture from the charred bottom of the dumplings. A definition for satisfaction. Available exclusively in Pavilion KL, Ho Min San brings in a delectable rare find in the gourmet field – juicy Hong Kong roasted goose that is prepared with the right level of tenderness yet retaining a crispy skin. 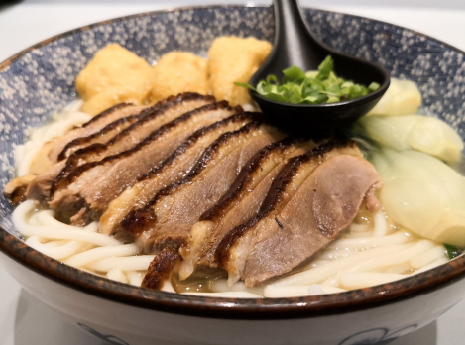 The roasted goose is placed on a bed of chewy and smooth rice noodles with delectable broth infused with meat essence to elevate the flavours. 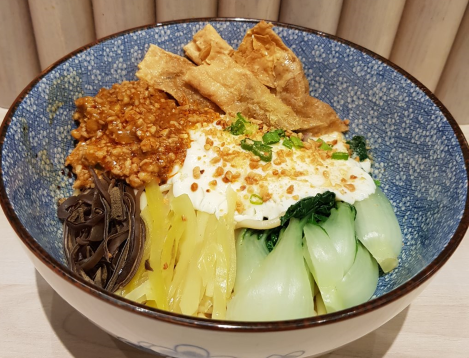 For those who are more health conscious, this Ho Min San outlet in Pavilion KL has the exclusive ‘Multigrain Noodles With Fish Maw and Half Chicken’ dish that aims to satisfy even the pickiest eaters. 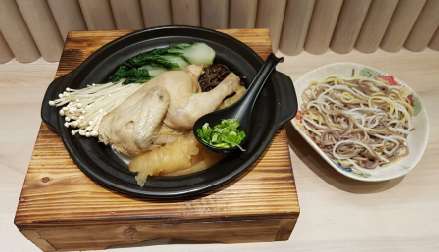 The nutritious soup is boiled with chicken and fish maw that promises good skin. Plus the multigrain noodles is a great twist from multigrain rice as now you get to slurp with content. One of the best seller in Ho Min San, the ‘Noodles With Pork Belly Slices In Hot & Spicy Soup’ dish uses an authentic Sichuan spicy Chongqing-style soup base that is extremely aromatic topped with fresh and tender pork belly. This dish has a tingling and numbing sensation that even the ones with low spicy tolerant can be addicted to! The dish’s spicy level can be altered upon requests: Extra Spicy, Mid, Light Spicy. 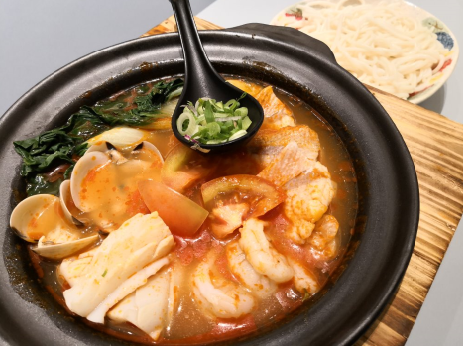 It’s not a usual sight to spot a dish like Ho Min San’s Noodles With Seafood In Tomato Soup’ dish as it successfully marries the appetising slightly sweet and sour tomato soup with a selection of fresh seafood such as fresh prawns, clams and fish. The combination complements each other as you get to taste the savoury part from the seafood and savour the refreshing elements from the tomato soup. This ‘Kunming Douhua Noodle’ gets heads turning and jaws agape when this dish mixes in douhua (soybean pudding) that is normally served as a dessert dish into the spicy minced pork and noodles. The way to eat it is to mix up everything in the bowl, leaving a more slippery and smooth texture of the noodles that works better than using half-boiled eggs. This delicacy dish is only available at the Ho Min San Pavilion KL and is definitely for the adventurous soul. 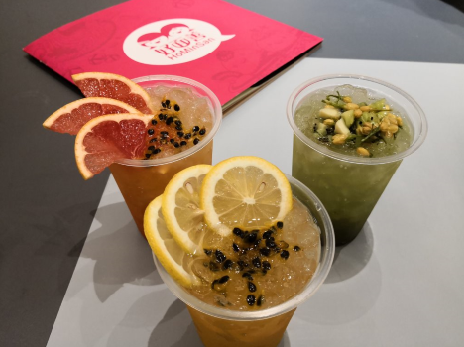 Ho Min San also has a line of refreshing unique thirst-quenchers using fresh sliced fruits: Jasmine And Kiwi Juice, Grapefruit And Passion Green Tea & Passion And Lemon Green Tea.